Do you know the difference of 100% human hair, remy hair and virgin hair? There are various Human Hair Weave types you can purchase, today I will talk something about the different between 100% human hair and remy hair. Brazilian Hair contains remy hair and non-remy hair, so remy hair is good human hair. 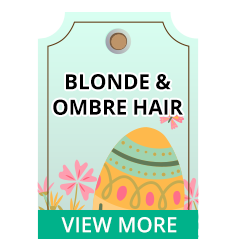 When purchasing Human Hair Bundles, there are a lot of things you need to consider. 100% human hair is much better than synthetic hair, and you want to ensure your hair lasts long and gives you a natural look, so human hair is a great choice. There are various human hair types you can purchase, today I will talk something about the different between 100% human hair and remy hair. 100% human hair is really human hair, there are no mix of animal or chemical hair, but do not promise the tops and ends of hair strands are in the right direction. Human hair contains remy hair and non-remy hair, so remy hair is good human hair. Non-remy hair is usually collected from hair brushes and hair that has fallen on the floor, the hair ends and hair top in different directions, therefore the hair products are more easy to be tangled. But of course, the price of Non-remy hair is much cheaper. Let’s talk about remy hair. Remy hair is considered to be the high quality of human hair, remy hair is collected in a method in which all hair strands stay aligned in the natural direction as it grew so the hair ends and roots are running in the same direction. The hair cuticles are removed and the hair smooth to touch. You will also get that natural look because the hair is going the direction it is supposed to (unlike other bundles or weaves). Finally, remy hair tends to last longer because its higher quality, unlike non-remy weaves where the hair has been cut and can be in different directions. When the hair is not in the right direction, brushing causes more friction and the hair doesn't last as long as a result. Virgin Hair and Remy hair: Both are 100% natural human hair. Remy hair is not necessarily virgin hair, since it may be colored or permed. Its defining features are an intact cuticle and the manner in which it was harvested. Virgin hair has never been chemically processed, the donor of virgin hair doesn't use any chemical products. So although all Remy hair is Virgin hair, not all Virgin hair is Remy hair.